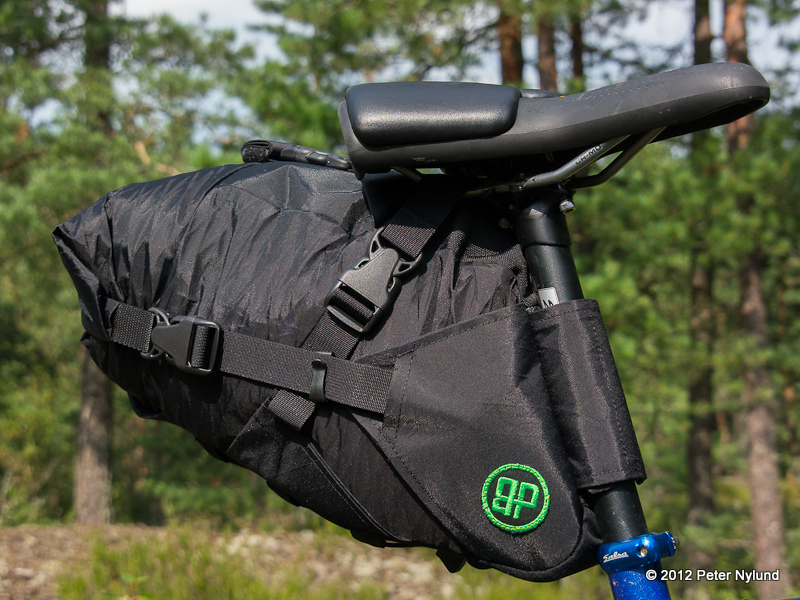 I just got two bags from Pawel at bikepack.eu and now have (almost) all the pieces needed for the full bikepacking setup. The only thing missing is a handlebar harness, which I intend to make myself. 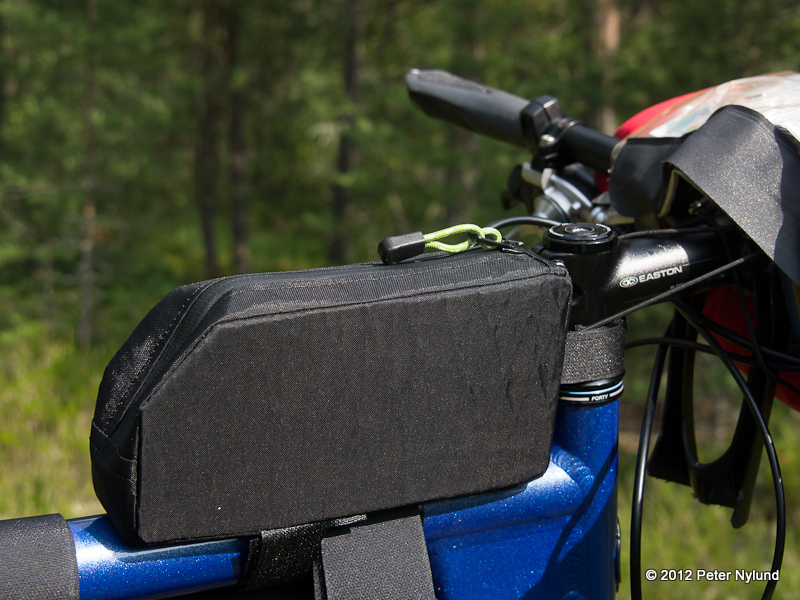 As a temporary solution I just use a drybag strapped to the handlebar, with the method for keeping the bag out from the cable described at this bikepackers forum. Thanks Court Harding for that link. Tomorrow night I'll take the train to the north for a four night bikepacking trip in Lapland and today I returned from family trip to Sweden and Norway, so I didn't have time to really test out the setup before going. 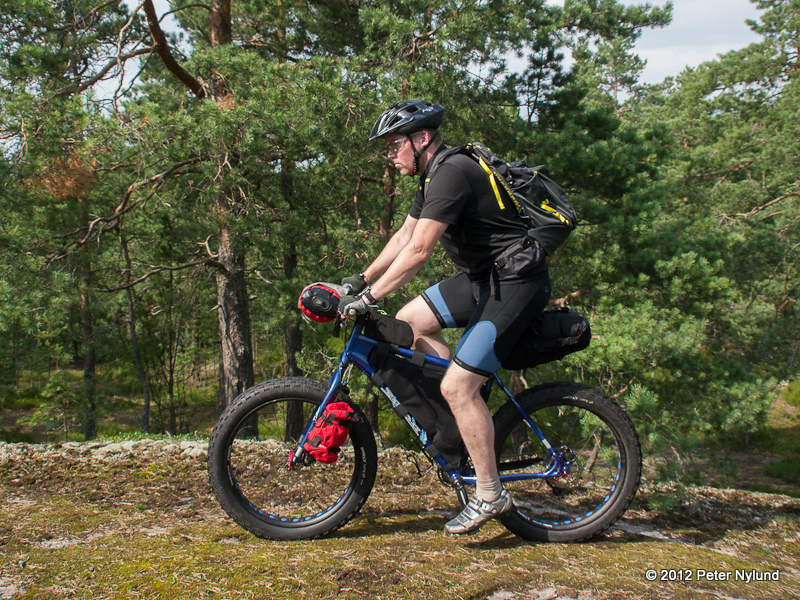 I did a dry run, though, with just some clothes and stuff in the bags to get a feeling for it and rode some rather technical trails. Check out the ThingLink stuff for details. The Repack WX (size L) looks really nice. The craftsmanship is great and this should be an excellent option for those living in Europe. It is significantly cheaper than the US alternatives, especially with all the duty taxes and postage. The capacity is 8-12 liters and I will probably put some bulky but light items possibly needed during the day here. The fuel tank is pretty basic, but the zipper works well and should be enable picking out the compact camera and taking a picture while riding (on even ground) with one hand without stopping. I did have a small backpack for this test. While it won't be necessary for the following trip, since I'll be out for only around four days, the bigger trip later this year could possibly require a backpack. 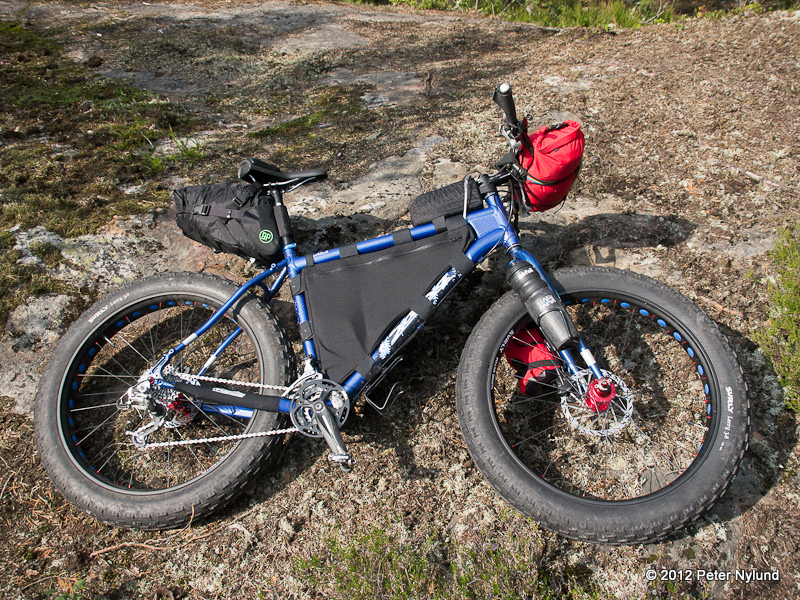 For sections where the bike must be lifted or carried a lot, it would make sense to put more weight in the backpack. And to get the food for a week to fit, I would either need a large handlebar bag or the backpack. This backpack is a Haglöfs LIM 35, which I've had for some years now. While not exactly being ultralight, it is not to heavy either at 1000 g. The capacity is 35 liters. The worst part of having a backpack is that the back gets so sweaty, since I won't put much weight in in anyway. Everything worked fine, so I guess this is the setup I'll take tomorrow.